When we think of “malnutrition,” we recall television and magazine images of underfed, emaciated children, from third-world countries. However, in the United States alone, over 90% of our population is also malnourished to some degree! How is this possible, when we boast more food options in America than anywhere else in the world? Simple! The vast majority of the foods we eat are processed foods. In other words, our foods are bleached, de-mineralized and depleted of most of their natural nutrients. So while we eat all of these mostly empty calories, to our heart’s content (or rather our heart’s discontent), our bodies are growing fatter and sending out signals that we are STARVING! The evidence that the Western diet is largely responsible for just about every single metabolic and degenerative disease known to man is indisputable. In a country that boasts the very best healthcare in the world we maintain the HIGHEST rates of obesity, arthritis, cancer, heart disease and strokes anywhere, why, primarily due to the foods we consume. 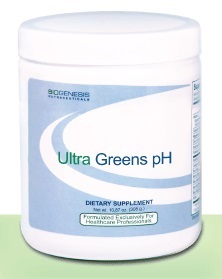 pH is the scale that measures the acidity or alkalinity of our body. In fact, when most of us think of pH we think of our fish tanks, swimming pools and hot tubs, and the countless hours we spend ensuring these levels are where they should be. But what pH means to our body is so much more important! A pH range can scale from 1 to 14, with 1 being the most acidic, 14 being the most alkaline, and 7 being neutral. The ideal blood pH range for your body is between 7.4 – 7.5, (just slightly alkaline), and your body will drop just about everything to maintain this level. Why is this important? Because a pH level that is consistently acidic (a condition called acidosis) is the breeding ground for most metabolic and degenerative diseases. The closer our blood pH is to the ideal alkaline target, the more difficult it is for ANY disease to flourish. How does pH affect our system? All humans live and die at the cellular level. Our body is made up of trillions of cells. All of the living matter in our bodies is made from cells. Every move you make and every thought you think is impossible without your cells and when these cells are unhealthy, your physical and mental abilities suffer. Cells are meant to be slightly alkaline, and must maintain this slight alkalinity in order to stay healthy and alive. Moreover, healthy alkaline levels provide the needed oxygen required by our body’s cells to stay healthy and to successfully fight disease. In 1931, Otto Heinrich Warburg, Ph.D. won a Nobel Prize for showing that cancer thrives in anaerobic (without oxygen), or acidic, conditions. Two factors which are always present in cancer are: an acidic pH and lack of oxygen. Conversely, cancer cells have a very difficult time surviving in the presence of cells that are properly oxygenated. This can be said of any virus, bacteria, fungus and/or parasite existing in your body. If you have a health problem, it is likely that your are also suffering from acidosis. Perhaps a more accurate statement would be: If you have a health problem, it is most likely caused by acidosis, this is because disease flourishes in an acidic state and cannot survive in a properly alkalinized state. A prolonged state of acidosis can result in, or severely worsen, conditions, such as: rheumatoid arthritis, osteoporosis, osteoarthritis, diabetes, lupus, fibromyalgia, tuberculosis, osteoporosis, high blood pressure, and cancers. Acidosis is the PRIME indicator of a mineral deficiency. When your body is deficient in minerals and other nutrients, such as calcium, it will “borrow” it from your bones, teeth and organs. This sounds like the “red carpet” treatment for all arthritic diseases! Further aggravating the situation is the traditional American diet consisting of processed, nutrient-depleted foods and our consumption of copious amounts of over-the-counter and prescription drugs to alleviate the symptoms of health problems caused by acidosis. Many of these medicines are known to deplete various minerals and vitamins your body needs to recover! That is not to say that you should stop taking any prescription medications you may currently be taking. This could be very dangerous. However, your health demands your active involvement, and that means asking questions, evaluating your diet, and doing your research.